Salesforce is the top dog in cloud-based CRM software and, based on their revenue goal of $60 billion by 2034, they will be for quite some time. The number of products they offer is seemingly endless, along with the news of them acquiring powerful tech companies. It would require an entire Salesforce-dedicated team with years of experience to be capable enough to cover everything Salesforce is up to and how their CRM software always manages to be the very best. SMBs are more focused on improving their own businesses rather than watching how Salesforce is changing the way we do business in general. It’s natural for businesses to think of Salesforce when they hear CRM, but what they’re unaware of is the number of sales CRM software providers who exist exclusively for SMBs. Finding these providers isn’t exactly easy, so it makes sense that Salesforce seems to be the ultimate solution; however, that’s not actually the case. We’re going to highlight 10 different providers that offer easy-to-use, powerful sales CRM solutions. Before we get into our ten Salesforce alternatives, it would be helpful to know who Salesforce is and why they’re considered the top cloud-based CRM software company. Salesforce was founded in 1999 when CRM software was still a very new concept. Salesforce went above and beyond by developing cloud-based CRM software that is more accessible to businesses of all sizes, no longer requiring expensive, up-front investments in in-house software and hardware, and long-term IT teams to maintain them. Salesforce offers all kinds of CRM solutions and systems, which include Sales Cloud, Marketing Cloud, Service Cloud, Analytics Cloud, Data Cloud, Community Cloud, App Cloud, and IoT, to over 150,000 customers. As of recently, especially in 2016, Salesforce has been expanding their business by acquiring and integrating with tons of smaller businesses. Why is Salesforce Number One? Salesforce is the leading pioneer of cloud-based CRM software. They have the experience and resources to determine how business is changing, and use their expertise and resources (money) to develop groundbreaking business software before other companies can understand what’s actually happening. This makes them a consistent leader in the world of cloud-based CRM software. Salesforce is also in a position to acquire tons of smaller companies they feel are going to leave a lasting impact. These partnerships allow Salesforce to focus exclusively on the technology that will inspire other providers to follow suit, rather than focusing on developing technology that only helps them stay relevant. They were, and continue to be, ahead of the curve when it comes to CRM innovation. Salesforce is the consistent leader in cloud-based CRM software, but that doesn’t mean their sales CRM software is the only solution worth considering. Many small businesses have trouble adopting CRM software, while understanding the benefits of CRM software, but the hassle of learning how they operate often gets in the way of actually doing business. Salesforce comes with tons of features and integrations, uses the latest technology such as AI, and has multiple pricing plans, but they aren’t all catered to SMBs. If your small business wants a solution with a ton of features, but doesn’t have a lot of money to spend on CRM software, Salesforce is out of the question. There’s no need to choose between more features for higher costs and less features for lower costs. Below are a list of ten providers — that aren’t Salesforce — who offer affordable sales CRM software solutions to SMBs without sacrificing features, integrations, and customization tools. Freshsales is another SMB-focused sales CRM software provider who is also diving into the world of AI. They offer AI-based lead scoring tools, Intelligent Workflows — a new product built for automating the mundane, time-consuming tasks that prevent agents from focusing solely on their leads and customers, event tracking, and powerful integrations. Their features require minimal customization because they’re already catered to SMBs. Freshsales is a better alternative for businesses interested in sales CRM software that isn’t Salesforce. It’s an easy-to-use and easy-to-figure-out software built for businesses with lots of clients where sales happen at a fast pace. Their automations help businesses speed up the entire sales process, which allows them to give every lead and customer the attention they deserve. Freshsales uses drag-and-drop navigation and intuitive visual graphs to showcase data. Their pricing is also very affordable and significantly cheaper than Salesforce’s pricing plans. Freshsales’ Forest plan, which is built for enterprises, is only $79 dollars. This gives SMBs the ability to upgrade their plans in order to get more out of the software without having to break the bank. Freshsales also offers a free version that doesn’t come with much, but comes with Google Calendar and Freshdesk integrations. Salesforce’s pricing plans may be more expensive, but their plans come with tons of powerful customization features. Salesforce’s Einstein is also a more useful AI tool for businesses looking to gain a deeper understanding of who their customers are. Freshsales’ AI is built specifically for lead scoring, but it’s not enough to consider the entire sales CRM software a game changer. Salesforce, in general, is more inclined to businesses looking to customize their software to fit their specific needs while Freshsales is simply giving businesses an all-in-one, what-you-see-is-what-you-get software. Whether or not this is a good or bad thing depends on what your agents find most useful. Pipedrive is a great sales CRM software for businesses interested in creating and managing sales pipelines. They’re an affordable solution with three different pricing plans that all come with features catered to small businesses. Some of these features include email integration, sales forecasting, and a powerful scheduling tool that allows businesses to get reminders on their phone and allows businesses to categorize activities based on type. Pipedrive is designed specifically for SMBs. This starts with their pricing plans. The most expensive plan is $63/mo, billed annually, and comes with everything Pipedrive has to offer sales teams. This plan is less expensive than Salesforce’s Lightning Professional plan, which comes with just as many features. The difference with Pipedrive, however, is that Pipedrive offers tools like the click-and-drag feature and customizable templates to make the whole experience much simpler. With a direct focus on optimizing the sales pipeline, Pipedrive is a strong choice for sales oriented businesses. Salesforce’s Lightning Professional plan is only $12 more than Pipedrive’s enterprise plan and offers powerful integrations like Google Apps and Microsoft Exchange. Google and Salesforce recently announced more powerful integrations with one another, which will benefit companies that rely heavily on Google. It makes the transition much smoother. Salesforce also offers sales insights, forecasting, and an in-depth knowledge base. Base is another sales CRM software provider interested in making it easy for businesses who have never used CRM software before to adopt their software with little trouble. Base is considered to be the first CRM provider to offer an app on Android, which makes it a great option for businesses who want access to their data outside of the office. 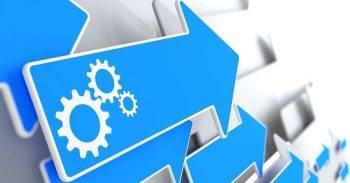 Base’s features focus primarily on integration, mobility, and pipeline management, which are all displayed on an extremely intuitive interface. Base is a better Salesforce alternative for businesses interested in sales CRM software for a few reasons. Base’s features are all displayed on a visually-appealing interface that makes it easy for businesses to understand the numbers being generated by the software. Base also comes with the option for businesses to mix and match other products with their CRM software to give every business their own unique experience. What Base lacks in its actual software is also covered by the number of integrations it offers. Utilizing the service Zapier, users can integrate Base with over 1,000 other applications, offering a truly customizable solution. Finally, Base emphasizes the user experience on their mobile app, which makes sense for sales agents and managers who are continually on the run. Salesforce is surprisingly a slightly cheaper option with just as many features. Although they aren’t as customizable, and their mobile app isn’t as powerful as Base’s, their features are exactly what businesses of all sizes need, and their sales CRM software doesn’t have to rely on powerful integrations and products to give their users a much better experience. Salesforce’s Lightning Professional plan is still customizable for businesses capable of taking on added costs when the time comes. Infusionsoft is an all-in-one CRM software provider with products like CRM, sales and marketing automations, email marketing, mobile apps, and many more. Infusionsoft comes with tons of integrations that all keep the small business owner in mind. Each product has enterprise-quality software, giving SMBs the ability to continue using Infusionsoft even when they expand. Overall, Infusionsoft is a straightforward CRM software most businesses will be able to pick up quite easily. Infusionsoft offers multiple products that will help sales teams significantly. Their sales automation software, online sales software, CRM software, and mobile app give businesses important options to choose from, based entirely on what fits their business’ needs the most. Another interesting feature Infusionsoft offers that Salesforce doesn’t is a paid, one-on-one training session so sales managers can learn all the ins and outs of the software. Finally, Infusionsoft offers SMBs a marketplace where they can purchase upwards of 800 apps in order to make their sales CRM software more personalized and powerful. Salesforce offers businesses the same features for a significantly lower price. Infusionsoft claims their products have the same quality as enterprise-level CRMs, but the fact remains that Salesforce is still in a class of their own. Salesforce also offers more contact and lead management tools than Infusionsoft. What really separates Salesforce from Infusionsoft is the fact that it doesn’t require businesses to dish out over $1000 for mandatory training. Sales CRM software isn’t the easiest to learn on your own, but it’s not impossible. It’s nice Infusionsoft offers one-on-one training, but it shouldn’t be mandatory. Infusionsoft is advertised for small businesses, however, this significant cost is not easily affordable. Sugar CRM offers an affordable sales CRM software that comes with tons of important management features. Some of those features include pipeline management, opportunity management, and account management. They also offer sales analytics, process automations, mobile productivity, and sales development/prospecting, which can all be taken advantage of by SMBs. These features come at an affordable price and are customizable as well. Sugar CRM isn’t built specifically for SMBs, but they offer powerful features that are typically found with other SMB-based, sales CRM software providers. One feature that really stands out is the sandbox tool. Businesses can use a sandbox to test all different kinds of scenarios like changing the colors of the website and adding more buttons to see if they help generate more sales. Salesforce offers a sandbox, but at an added price. SMBs can’t afford to take those kinds of risks. Sugar CRM is also unique in that it offers businesses an on-premise option. This might not be the best solution for SMBs, but if the money and space is there for the software and hardware necessary for an on-premise solution, it’s a great way for a business to take full control over their sales CRM software. Despite being the biggest CRM software provider in the world, Salesforce does offer sales CRM software catered to SMBs. Salesforce offers the same management tools Sugar CRM offers, plus a sandbox, and more sales-oriented features and reports that give users a more complete picture of their customers. Salesforce might be more expensive, but you get more out of it. Zoho CRM is one of the best sales CRM softwares for SMBs for great reason. Zoho is a huge company that offers twelve sales-specific products to businesses looking to improve user and customer experience. Their sales CRM software in particular is filled with features at an extremely affordable price. Zoho is also one of the few CRM software providers that offer a powerful free version. Their features all emphasize contact and lead management tools, customizable forms, templates, and dashboards, automations, and integrations. Zoho CRM is a better Salesforce alternative mainly because of how affordable it is. Their most expensive plan is only $100, and it comes with powerful features like a sandbox, advanced CRM analytics, and advanced customization tools, whereas Salesforce’s Enterprise plan costs $50 more. Zoho also offers SMBs an intuitive free version of their software, which is more than enough for inexperienced businesses only trying to dip their feet in the water before committing to more expensive sales CRM software. Salesforce’s Enterprise and Lightning Unlimited plans are much more expensive than Zoho CRM, but they also offer many more features. One of those features is Einstein, a powerful AI feature that is changing the way businesses use CRM software. AI is a powerful tool that is already playing a significant role in sales CRM software, giving sales agents an even closer look at their customers. Zoho has powerful automations, integrations, apps, and analytics, but AI is the future and Salesforce is ahead of the game. Insightly is a sales CRM software provider voted best CRM software of 2017 by PCWorld and was in Entrepreneur’s list of Top 10 CRMs Small Businesses Need to Thrive. Along with the standard CRM features one would expect, Insightly offers powerful automation tools that make it easier for sales agents to focus on more important tasks and meetings that will ultimately generate revenue. They also offer mobility features that make it possible for customer data to be accessed by agents outside of the office at any given time. Contact management and sales pipeline management features also help businesses to speed up their sales process significantly. Insightly is a better alternative for SMBs because of their pricing plans, the amount of features available in each plan, and the fact that they offer a free version for extremely small businesses with less than five employees; this is unlike Salesforce, which has a significant drop off in features available in their low-cost plans, while their more expensive plans don’t offer businesses enough features to make up for the higher cost, and on top of it all, they don’t offer a free version of their software. Salesforce, along with its higher price tags, comes with extremely powerful customization and AI tools businesses can use to paint better pictures of their customers with — features Insightly is currently missing. Salesforce’s cheapest option also comes with online training, which makes it easier for businesses to understand the software. Their plans are also customizable to fit your business’ needs, meaning if you need more features for your CRM software, they can be purchased. ProsperWorks CRM is a sales CRM software built specifically for working with G Suite. This is a great option for SMBs already using Google Sheets, Docs, Calendar, Gmail, etc. in their day-to-day business. ProsperWorks CRM is an affordable option, offering key features like custom fields, a mobile app, a Chrome extension, sales forecasting, a leaderboard, and a RingCentral integration. ProsperWorks is a better Salesforce alternative because of how closely integrated with G Suite it is. Many businesses already take advantage of the apps Google has to offer, so being able to use a CRM that will transfer all that data over seamlessly instead of having to do it manually. Salesforce is working closer with Google as of recently, but ProsperWorks is designed to work with Google from the ground up. ProsperWorks also has a RingCentral integration, which is ideal for business who take advantage of business VoIP. If your business uses RingCentral, there is no longer a need to go back and forth between the two services; calls can be made and recorded using ProsperWorks, and then stored automatically. ProsperWorks is designed to work specifically with G Suite, but it doesn’t go above and beyond like Salesforce. Salesforce offers many more sales-oriented features designed to make the lives of sales agents easier. ProsperWorks is a one-dimensional sales CRM software built for businesses not quite ready to move on from Google. Some of the features Salesforce has that ProsperWorks doesn’t includes a sandbox, AI based software, and opportunity management. Salesforce also works closely with Google, so it’s possible for Salesforce users to get the same level of integrations ProsperWorks offers. 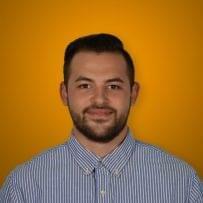 HubSpot is a sales CRM software that prides itself on being absolutely free to sign up. There are many providers who offer free versions of their sales CRM software, but none of those versions are as developed as HubSpot’s. HubSpot focuses on automations and speeding up the sales process so agents don’t have to worry about the mundane tasks that slow their days down and take their attention away from clients and leads — all for free. HubSpot CRM is free to use unlike Salesforce. This is ideal for SMBs because SMBs understand the benefits of switching to CRM software, but many solutions are out of their budget. HubSpot gives SMBs no excuse not to try. Plus, if they like the software and wish to upgrade it, there are paid plans they can switch to as they grow. Salesforce does not offer a free version of their software, so users are stuck between three different pricing plans. Salesforce doesn’t have to offer a free version of their sales CRM software for customers to benefit from their features. Salesforce recently jumped on the AI bandwagon with their Einstein tool, which is used for better reporting and analytics. Salesforce also has deeper, more powerful customization tools and configurable reports. Salesforce has a sandbox tool and custom applications that can be fine tuned to fit every business’ needs. Bpm’online offers multiple products ranging from sales to marketing to customer service. Their sales CRM software helps businesses keep track of leads from the moment they show interest in making a purchase up to the final stages of a transaction. They use low-coding technology to make it easier for SMBs to use and navigate. Bpm’online’s CRM software also goes beyond sales, offering powerful marketing and service features too. Bpm’online is a better alternative to Salesforce because they use elements from sales, marketing, and customer service to ensure SMBs are given a complete picture of what their customers expect, how they interact with the company, and how far along they are in the sales process. Salesforce focuses primarily on sales, which is good, but it could do more to offer businesses a bigger picture of their customers’ actions. Bpm’online is also a very inexpensive option to choose from compared to Salesforce, while still offering all the essentials. Salesforce offers a more intuitive interface, displaying graphs and reports on the dashboard in a more appealing way. The info in those graphs and reports is as well-rounded as Bpm’online’s because the number of extra sales features they offer make up for the lack of different perspectives that Bpm’online offers its users. Salesforce also uses AI to develop deeper understandings of their customers, which is a significant trend making CRM software in general an even more powerful tool than it already is. We would also like to break down the features included in each provider’s sales CRM software while providing you with links to each provider’s pricing pages. 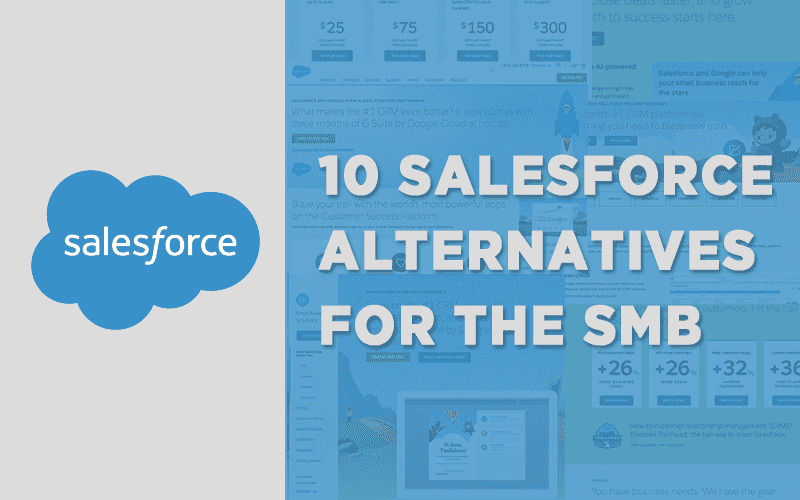 Both the price and features included have been the general reason behind why we think these ten Salesforce alternatives are better options for SMBs. It makes sense to lay it all out in an easy to read way so your business can quickly determine what best fits its needs. Based on this chart, Zoho CRM is the only provider that offers every one of the listed features Salesforce offers as well. Zoho, like we mentioned before, is a cheaper option that is more suitable for SMBs, so this shows that there are providers who can compete with Salesforce and are better in some cases. A small handful of these providers are only missing one or two features as well, so those should all be taken into consideration as well. Getting a smaller price tag often comes with sacrifices. Your business might not need every single feature we listed, and we might be missing some key features too. Remember, these are just a starting point. For more info on other CRM software providers, see our CRM Software Buyer’s Guide. Our ten Salesforce alternatives for SMBs interested in sales CRM software are all powerful tools that sacrifice very little in terms of features. Salesforce is obviously a great company and will always be a great company, but it’s not the only cloud-based CRM software company. The main takeaway from this is that price, customization, integrations, advanced reporting and analytics, mobile apps, forecasting, and automations are all major features that should not be sacrificed to get a better deal. Every one of these providers offers these features, and tons of other providers we didn’t list offer them as well. It’s also okay to realize that after all is said and done that Salesforce is actually for your business. We’re only trying to paint as clear a picture as possible regarding who offers what, why one provider may be better or worse than the other under certain circumstances, and why we think so. If your SMB is interested in adopting sales CRM software, it’s okay to look beyond Salesforce. Sales CRM software is becoming more and more popular and powerful each year. Salesforce and Zoho CRM are prime examples, adopting AI to provide users with even more advanced reporting. The last thing you should do is give up because Salesforce isn’t right for you.